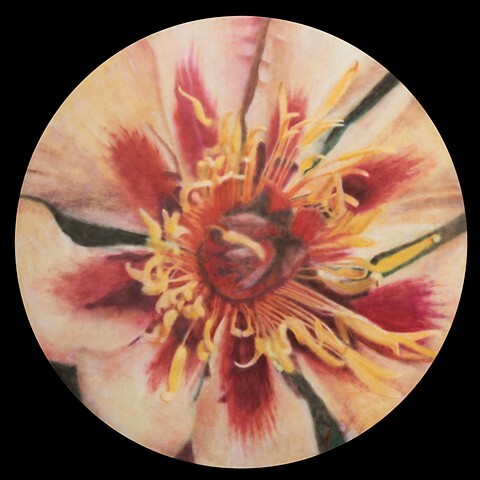 The sunburst effect of this peony reminded me of Damien Hirst's spin paintings. They're very decorative but mine is a real painting with brushes and many laters. It is on Masonite with a painted 1 1/2" edge.